Cover for: Vet fees for illness and injury, Third party liability – up to £1 million for dogs, Boarding kennel or cattery fees – up for £1000 if you have to go into hospital for 48 hours or longer (Platinum cover only). Includes access to Pet Legal and Vet Finder helplines. Post Office pet insurance is designed to provide all the cover you need for your cat or dog. Available for pets of all ages, it includes a number of benefits and a wide scope of cover as standard. You can apply online for Post Office pet insurance, or, to make sure you get the best cover for your pet at the most competitive premium, compare Post Office pet insurance with other leading providers with our free online insurance comparison service and apply online. What types of pet insurance are there? When it comes to choosing the right pet insurance for you, there are a range of choices available depending on your budget and on the level of cover you wants. Lifetime pet insurance – A lifetime pet insurance policy offers the most comprehensive level of cover for your pet. These plans, as the name suggests, are designed to last for the entire life of your pet, covering any new illness or injury after the date the policy is taken out (you will not be covered for your pet’s existing illnesses or injuries). These policies require annual renewal, so make sure you set a date to renew each year or you will no longer have the cover you need. Non-lifetime pet insurance – this type of pet insurance limits how much they pay per condition before it’s excluded. This type of pet insurance will pay out a set amount for any different conditions your pet has, with no time limit. However, once the payment limit is used up, no further payouts will be available. Time-limited non-lifetime pet insurance – this type of pet insurance offers the same limited payout plan as non-lifetime pet insurance, but also places a time limit on how long you can claim for the condition. After this time has elapsed, the condition will be excluded from any further payouts. Accident-only pet insurance – This is the most basic type of pet insurance policy and only covers your pet for accidents and injuries. Other illnesses are excluded. The policies may be cheapest at the outset, but they could prove expensive if your pet gets ill in the future as you will not be covered. What Is The Best Insurance For Dogs? When it comes to choosing the right dog insurance there are a range of choices available depending on your budget and on the level of cover you wants. Lifetime dog insurance – A lifetime dog insurance policy offers the most comprehensive level of cover for your pet. 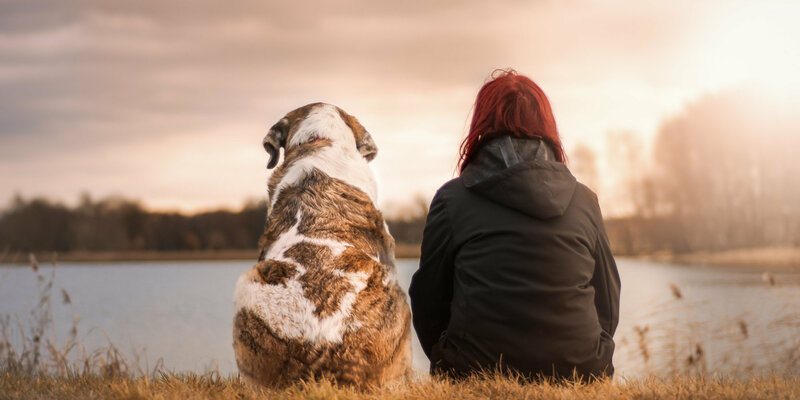 These plans, as the name suggests, are designed to last for the entire life of your pooch, covering any new illness or injury after the date the policy is taken out (you will not be covered for your dog’s existing illnesses or injuries). These policies require annual renewal, so make sure you set a date to renew each year or you will no longer have the cover you need. Non-lifetime dog insurance – this type of pet insurance limits how much they pay per condition before it’s excluded. This type of dog insurance will pay out a set amount for any different conditions your pet has, with no time limit. However, once the payment limit is used up, no further payouts will be available. Time-limited non-lifetime dog insurance – this type of insurance offers the same limited payout plan as non-lifetime cover, but also places a time limit on how long you can claim for the condition. After this time has elapsed, the condition will be excluded from any further payouts. Accident-only dog insurance – This is the most basic type of pet insurance policy and only covers your dog for accidents and injuries. Other illnesses are excluded. The policies may be cheapest at the outset, but they could prove expensive if your pet gets ill in the future as you will not be covered. What Is The Cheapest Pet Insurance Available? However tight your budget, it’s worth insuring your pet in order to help them live a long, healthy life, as well as to save you money on vet’s bills in the future. When comparing pet insurance policies it’s a good idea to shop around and compare a wide range of insurers. Look for specific policies for your pet, as many insurers offer specialised cat, dog, horse, or exotic pet insurance, which could offer a better deal and a level of cover that is tailored to your pet’s specific needs. You can compare a range of deals from pet insurance providers with our free comparison service. Just click on the links above to compare features and apply online today for great discounts. What Is the Best Multi Pet Insurance Policy?